Collier Row is just around the corner from Mayhem paintball less than 5 minutes from the centre of Collier Row, You can also get the 375 from Chase Cross Road to Mayhem Paintball it stops at Passingford Bridge where Mayhem offers a free pick up and return to the Bus stop. 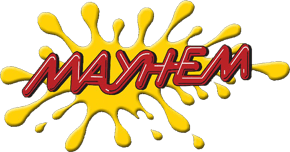 If you have not been to Mayhem you have missed out you have the number one voted paintball site in the country on your door stop. Mayhem Essex has 16 playing fields, with a to scale C.O.D Map its bog from Mondern Warfare just like the Call of Duty map it has a T55 ( Real Russian Battle Tank), Buildings, Bulldozer, shipping containers and a coach in the middle of the field it has been voted best paintball Map in the UK 2013. Mayhem has been accredited by the UKPSF (which is the governing body for paintball in the United Kingdom) and is a full 5 star rated paintball venue. For Collier Row paintballing, there is no better venue than Mayhem. We would recommend visting and having a look at our paintball site you will not believe how amazing Mayhem Essex is also our packages work out a lot cheaper than any of our competitors. For more information on Collier Row Paintball, please call us, or email us.